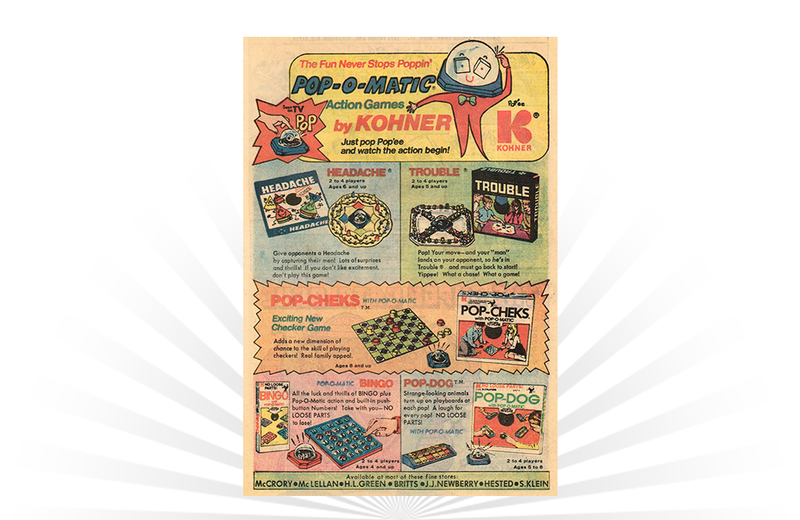 Just pop Pop’ee and watch the action begin in these games by Kohner! The most notable feature of these games is the Pop-O-Matic – a small, clear plastic dome that houses a single die. Players roll the die by pressing down on the bubble and quickly releasing it. This action causes a flexible sheet of plastic underneath to bend and flex, efficiently rolling the die when it snaps back into place. An advertisement from 1974 for the Rev 'n Roar from Matchbox.